'A Perfect Soldier': Remembering A Warrior In The Battle Against Homophobia When Leonard Matlovich showed up on Time with the headline "I Am a Homosexual," it shocked many. The decorated Vietnam veteran spent the end of his life advocating against anti-gay discrimination. 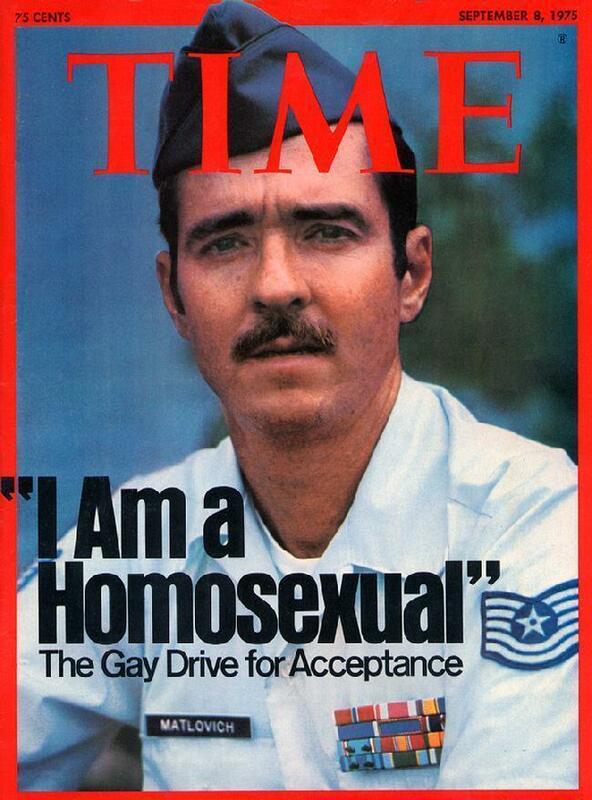 In 1975, Leonard Matlovich appeared on the cover of Time to challenge the military ban on gay service members. In September 1975, Time magazine featured decorated Vietnam veteran Leonard Matlovich on the cover. His name was clearly visible on his Air Force uniform, and the headline read: "I Am a Homosexual." Matlovich — who had come out in a letter to his commanding officer before the cover ran — was challenging the military ban on gay service members. 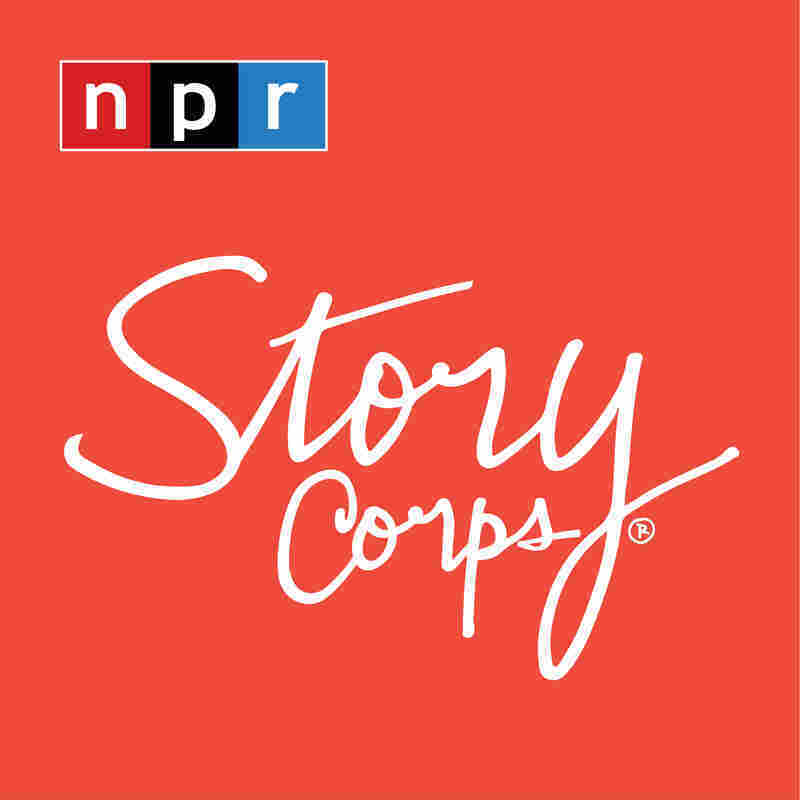 "I don't know a lot of people that called him Leonard," Jeff Dupre, a longtime friend of Matlovich, recounts during a visit to StoryCorps. "Everyone called him Mat. I met him at a Thanksgiving dinner. We were sitting in the living room and we were watching [the] Macy's Day Parade on Thanksgiving Day." Matlovich was quiet that day, prompting someone to ask him what he was up to. "And that's when Mat opened up," Dupre says. "He said, 'Well, you know, they're looking for a candidate to challenge the gays in the military laws. ... Someone who has a good record to make it legal to be in the service and be open. I've got these awards from the service. I think I can do it.' "
Matlovich's friend discouraged him, saying he was too quiet. And he pointed out that Mat wasn't out yet, adding, "You're not ready for that." The subject changed, and everyone went back to their turkey-day business. But Matlovich decided to go through with it, and when Dupre saw the cover, he was blown away. 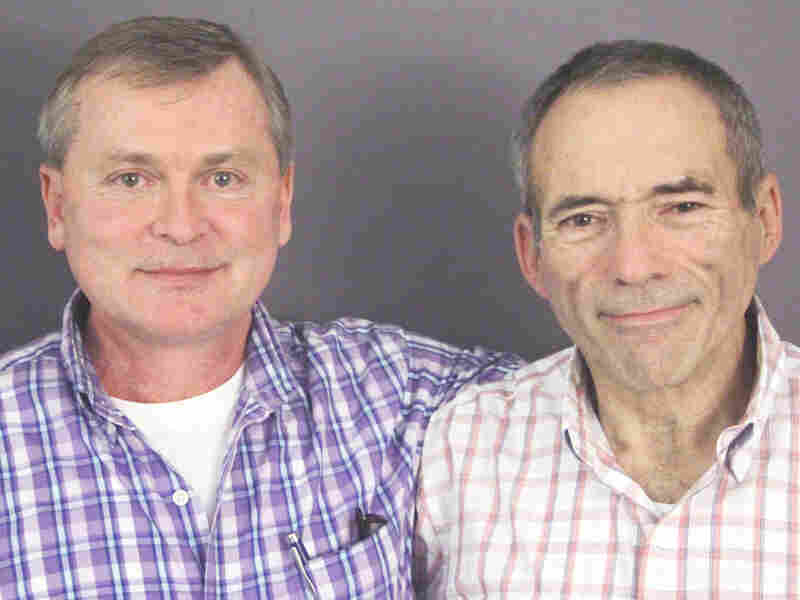 Jeff Dupre (right) and his husband, David Phillips, during a recent visit to StoryCorps, where Dupre talked about his friend and gay activist Leonard Matlovich. "I mean, it was pretty wild. There it was on the rack. He was glancing up, shiny eyes, curly hair, with the headline: 'I Am a Homosexual.' And I just stared at it. I just couldn't believe it," Dupre says. When Mat called, Dupre told him how proud he was of him, but then the two men fell out of touch. Matlovich died of AIDS in 1988. He was 44 years old. "I didn't even know he was sick," Dupre says. "He was buried in D.C., and his headstone does not have his name on it. It strictly says, 'A gay Vietnam veteran,' and the inscription on it is, 'When I was in the military they gave me a medal for killing two men and a discharge for loving one.' "
"He ... was the epitome of a perfect soldier, one of those people that stuck his neck out, and he was proud to be the person to challenge that law," Dupre says. Matlovich was originally given a general discharge, but fought that and got it changed to an honorable discharge. He then fought a court battle to try to get the Air Force to take him back — in the end, rather than reinstate him, they gave him a settlement in 1980. Audio produced for Morning Edition by Nadia Reiman. A previous Web version of this story incorrectly spelled Leonard Matlovich's nickname as Matt.